Fayetteville, NC — Fayetteville State University has announced Richard Hayes, Jr. as the 16th head football coach. Hayes assumes leadership of the football program at FSU with over 15 years of coaching experience. He has a background as a defensive specialist and adds his wealth of experiential knowledge; both as a player and as a coach. Most recently, Hayes served as the defensive coordinator for the reigning CIAA Champion Winston-Salem State University. He joined the WSSU football coaching staff in 2010 as an assistant coach working with the defensive backs and special teams. Hayes won three CIAA Championships (2011, 2012, 2015), made four conference championship appearances (2011-12; 2014-15), and complied a record of 60-13 as a member of the Rams coaching staff. Hayes garnered a hefty set of accolades during his time at WSSU. Under Hayes’ defensive schemes, the Rams’ defense has been ranked nationally in the top 10 since 2010. WSSU had a student-athlete named CIAA Defensive Player of the Year for four consecutive seasons (2011-14). Hayes played an instrumental role in WSSU making three consecutive NCAA Regional appearances, including two Region I Championships (2011-12) and finishing as a NCAA DII National Finalist in 2012. Hayes has roots in North Carolina and South Carolina high school football. He served as the defensive coordinator at W.J. Keenan High School in Columbia, SC (2009) and at James B. Dudley High School in Greensboro, NC (2004-05). While at Dudley, Hayes helped to lead the team to a 3AA Eastern Division Championship in 2004 and a Triad 3A Conference Co-Championship in 2005. Both seasons saw Dudley High ranked in the top five in the state in total defense, pass defense and scoring defense. Hayes moved on to Keenan High and took control of the defense. Under his tutelage, Keenan High earned a SCHSL Region IV runner-up finish and earned their first playoff win in 17 years en route to posting a 9-3 record. In 1998, Hayes began coaching on the collegiate level at his alma mater North Carolina Agricultural and Technical State University. He served as an assistant coach with the Aggies from 1998-2002. Hayes spent three seasons working with the running backs and two seasons as the outside linebackers coach. Hayes completed his bachelor’s degree in Recreation Administration from N.C. A&T State in 1999. 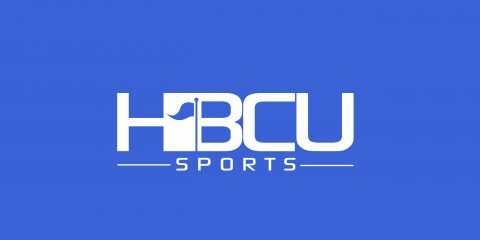 He was a standout defensive back for the 1991 and 1992 Mid-Eastern Athletic Conference (MEAC) champion Aggies; Hayes was a two-year letterman for N.C. A&T State. He and his wife Thomasina are the proud parents of three children, Richard III, Ryan, and Kennedy. FSU is the second-oldest public institution in North Carolina. A member of the University of North Carolina System, FSU has nearly 6,000 students and offers degrees in more than 60 undergraduate and graduate degree programs.